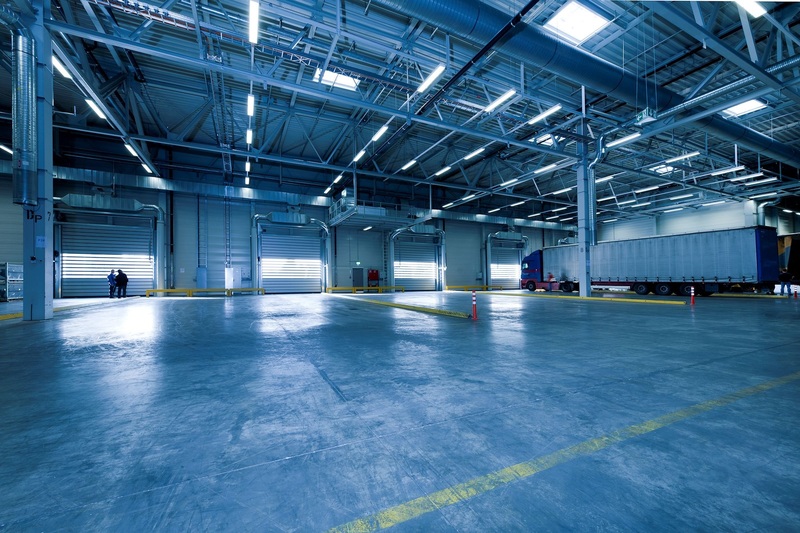 This comprehensive guide will take you through everything you need to know about industrial coatings from coating preparation to recommended coating systems for different industrial structures. The focus of this guide is coating industrial structures, so if you’re interested in metal finishes and coating systems for metal products and components, check out our guide to metal finishes. Prepping and applying industrial coatings properly are just as important as selecting the right coatings system and surface preparation protocol. Mixing and straining are important parts of the coating preparation process, and thinning is required with certain systems. Due to storage, coating pigments can settle at the bottom of their cans. If coatings aren’t thoroughly mixed, film can become uneven in color and thickness, have reduced adhesion and ultimately have limited corrosion and cathodic protection. This is why proper mixing is imperative to successful industrial coating systems. Mixing can be done manually or mechanically. Mechanical mixing is preferred, especially at higher volumes where speed and efficiency are critical. Once the paint is mixed, the manufacturer might require a paint thinner to reduce the coating. You should only use paint thinner per the manufacturer’s recommendation. Using the wrong thinner can result in a defective coating, and over-thinning can create a runny coating with little to no adhesion. Industrial paints should always be strained to ensure conformity across the entire application. Straining prevents coatings from becoming lumpy and uneven when applied. Straining is the last step before application, and it can be done using a mesh sieve or commercial paint strainer. Once your industrial paint is prepared, it’s time to apply the coating to the asset. Brushes, rollers and sprayers are the most common applicator tools in industrial settings. Roller application is ideal for large, flat or curbed surfaces. When spray applications are prohibited or expensive, roller application is the ideal method. Roller application is also much less time intensive than brushing. However, rollers cannot be used with quick-evaporating solvents, and they can sometimes pump air into coatings (causing voids and holidays). Consider a spray application when dense or fast-acting solvent coatings are being used. Spray application is one of the quickest industrial paint applications methods, reducing overall labor costs. Sprayers come in two general forms: conventional air sprayers and airless sprayers. Both types utilize a type of coating that’s atomized into a fine powder rather than a typical liquid coating. Conventional spray systems are composed of a spray gun, material container, air compressor and air-controller. These systems push compressed air and powder coating through a spray gun that controls how much is applied. Airless sprayers don’t use compressed air. Instead, airless sprayers utilize hydraulics by combining a fluid pump, high-pressure hose and airless spray gun. Electrostatic spray systems also exist for assets that are irregularly shaped or electrically conductive. These systems utilize electrostatic spray guns that acquire high voltage charges. As the paint atomizes, each particle contains an electric charge. The particles are electrically attracted to the asset. 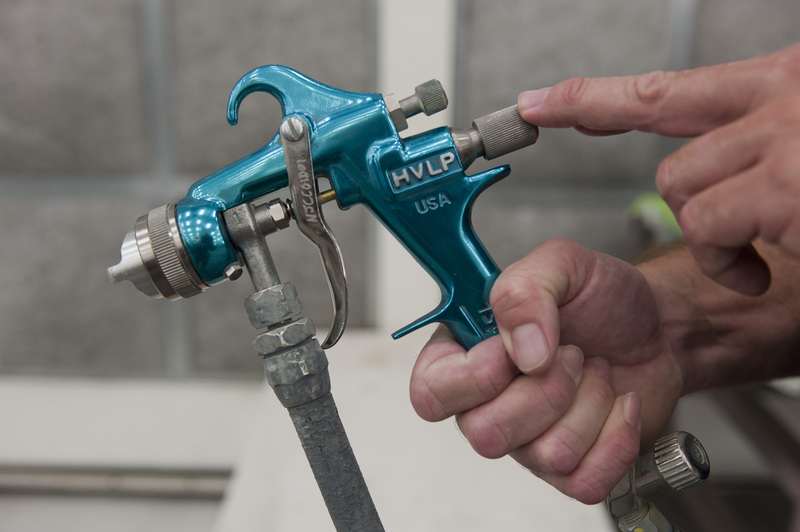 High Volume, Low Pressure (HVLP) spray systems are another unique option for industrial painters. A high volume of air pushes through the system at low pressure (10 psi or less) to avoid overspray, blow back and paint loss. HVLP systems also reduce solvent emissions to help painters abide by VOC regulations. Manufacturers of steel primers publish product data sheets (PDSs) that recommend the level of surface preparation required, typically using SSPC or NACE standards. More information about SSPC and NACE steel surface prep standards can be found here. Steel primers are applied before an intermediate and topcoat are applied. Steel surface primers must bond well with the structure, provide corrosion resistance and provide the conditions for a complementary topcoat. There are two notable types of steel primers: surface-tolerant primers and pre-construction primers. Surface-tolerant primers are designed to provide corrosion protection to less thoroughly cleaned surfaces. A topcoat is usually required in addition to the primer to provide long-lasting protection. When abrasive blasting isn’t an option, surface-tolerant primers are a suitable solution. Pre-construction primers need to provide strong adhesion to both the steel surface and the topcoat. Corrosion protection, ease of application, weld-resistance and coating system compatibility are all desired properties of pre-construction primers. While surface-tolerant primers are typically used in the field as maintenance coatings, pre-construction primers are applied before a structure is built, often in a shop environment. Zinc-rich primers provide cathodic protection to a structure, increasing the steel’s corrosion resistance. The zinc coating acts as a “sacrificial anode” in the corrosion process, where the zinc, rather than the steel surface, corrodes. Inorganic primers must be applied via a sprayer, while organic primers can be applied via a brush, roller or sprayer. If you’re using a industrial coating system to repair a damaged coating system, it’s imperative to use a coating system that’s identical to the generic type of coating used previously. So if an epoxy mastic was previously used, make sure to use an epoxy mastic or identical coating for your new coating application. With that said, let’s get into the recommended coating systems for steel structures. Alkyds are a tried-and-true coating system that have been around since the early 1900s. The major advantage of alkyds is their ability to cure through oxidation of drying oils. They provide solid resistance to structures in mild atmospheric environments. However, they are limited in their protection against corrosion in harsher environments. These coating systems can be paired with alkyd primers, water-based acrylic paints and certain types of intumescent paints. There are a wide range of epoxies that can be used for various applications. Polyamide epoxies can protect structures that are fully immersed under or in water. These epoxies can protect offshore platforms, underground pipelines and the underside of Navy ships. Certain types of epoxies like phenolic, amine-cured and novolac epoxies are recommended when structures are exposed to damaging chemicals. They’re ideal for tank linings and other harsh environments. 100% solids epoxies have little to no volatile organic compounds (VOCs). They’re an environmentally friendly option that can be used as a primer, intermediate or topcoat. Epoxy coating systems provide a lot of versatility and greater protection than alkyds, but usually come at a premium expense. Water-based epoxies are another low-VOC option that should be considered in less demanding environments. Polyurethane coatings are usually applied as finishes, rather than primers or barrier coatings. They offer both long-term gloss and color retention, making them an appeal option when aesthetics are important. Moisture-cured urethanes cure using moisture and humidity, handle higher dry service temperatures than epoxies and provide a hard, durable finish. Acrylic polyurethanes have high gloss and color retention, as well as UV resistance. They’re commonly used for long-term steel surface protection. Polyester polyurethanes are a premium product that offer abrasion-resistance while maintaining color and a glossy finish. Formulations exist that can be applied directly to steel without a primer. Polysiloxane, a type of polyurethane, acts as both a primer and a top coating, allowing for a single application (at a higher cost to the painter). Industrial coatings systems can comprise of one or several different coatings mentioned above. For example, a coating system that needs cathodic protection, a barrier coat and a glossy finish could have a zinc-rich primer, followed by an epoxy barrier coat and polyurethane finish. A complete coating system addresses all of the needs and the environment of the structure. Concrete is a long-lasting and durable building material that’s also cost-efficient. Concrete can be found everywhere from industrial and commercial applications to infrastructure. However, concrete has maintenance requirements that need to be addressed to be a long-lasting material. Concrete absolutely requires coating to account for concrete’s tendency to become porous and cracked. Surface preparation is the first step in properly treating concrete. Unlike steel, concrete is a non-uniform mixture that’s porous and tends to crack. Moisture can also seep into concrete causing further issues. Because of these issues, it’s imperative to inspect and test before surface preparation for chemical contamination, strength, physical defects and moisture. SSPC-SP 13/NACE No. 6 can be referenced for most concrete surface preparation. Concrete coatings might also need to have alkali-resistance and chemical-resistance depending on the environment. Concrete coatings are typically divided into two categories: thin and thick films. Thin films form 1 mil layers, while thick films form 2-3 mils per layer. Thin films are usually acrylics or thin-film-penetrating sealers. Popular thick film coatings for concrete include two-part epoxies, polyurethanes and polyaspartic applications. These two-part coatings combine resins with a hardener for added durability. Water-based acrylic coatings have fast dry times, but lower performance and life-times compared to their thick film counterparts. Solvent-based acrylics perform better and last longer than water-based acrylics but there might be environmental regulations that prevent the use of these coatings. Epoxies are a great two-part option for concrete floors because they are self-leveling and fill dents and cracks. Epoxies also be slip-resistant, abrasion-resistant and static-resistant. 100% solid formulations also exist that are durable and help businesses meet VOC regulations. For all their benefits, polyaspartic coatings tend to be more expensive with lower pot lives. 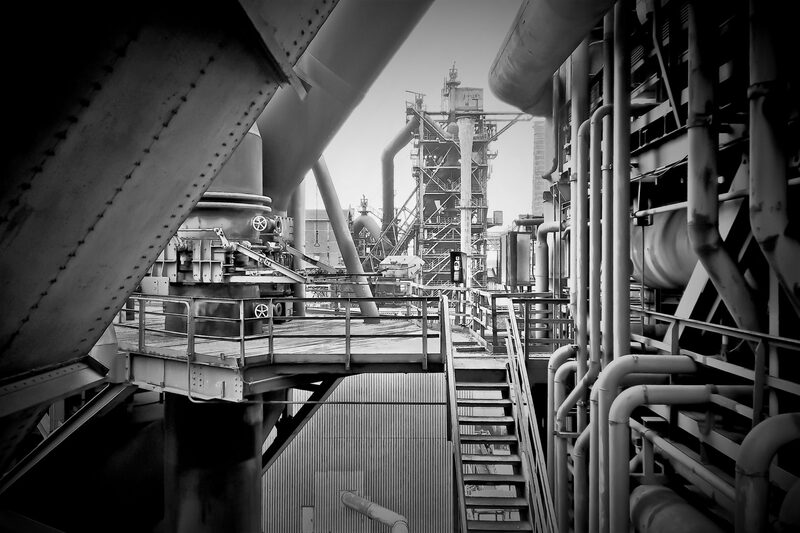 Certain environments create harsh conditions for steel due to extreme temperatures. 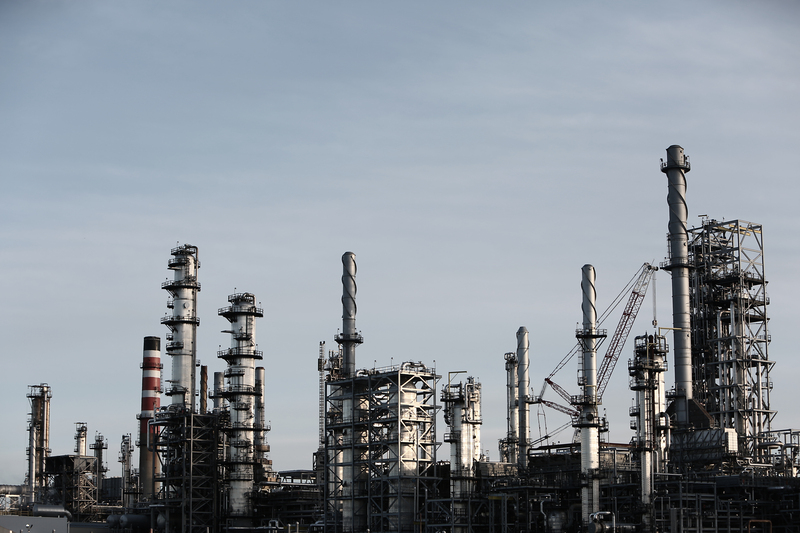 Industries with assets like power plants, refineries, petrochemical plants and paper mills need coatings that can handle temperatures up to 650 °C. High temperature coatings need to withstand extreme heat while also being able to protect against corrosion when temperatures drop. Generic coating systems aren’t able to handle the varying temperatures involved in these environments, which is where high temperature coatings come into play. Silicones can withstand temperature from 370 °C to 538 °C or more. Silicone acrylics are often marketed to withstand temperatures up to 260 °C, but they typically drop off in performance at around 204°C. They also only provide limited film thickness, around 2-4 mils of dry film thickness (DFT). By themselves, they’re very limited in corrosion protection, which is why they work best as a cosmetic topcoat for other high temperature coatings. Epoxies are often used for assets in full immersion environments (e.g. underground pipelines). Standard epoxies in extreme temperatures can lead to thermal degradation, cracking and ultimately premature failures. However, epoxy coatings can be formulated in different ways that prevent these issues. Fusion-bond epoxies (FBEs) are used for underground pipelines that won’t suffer extreme heats (around 60 °C). Phenolic epoxies can handle higher temperatures, around 150°C. They’re also good for immersive environments and help solve corrosion under isulation issues. IOZ coatings offer sacrificial cathodic protection to carbon steel assets and are often recommended with corrosion control is particularly important. These coatings usually act as a primer and pair well with a top coat for additional protection. However, moist environments can quickly destroy these coatings, resulting in corrosion under insulation (CUI) in certain scenarios. Thermal spraying involves melting down different metals and spraying assets for added protection. Metals can include aluminum, zinc, copper, stainless steel, ceramics and nickel. These sprays are typically applied at a shop, although field sprays are also available. Thermal spray aluminum is a popular thermal spray option as a high temperature barrier coating. These types of sprays can prevent external stress corrosion cracking (ESCC) on stainless steel. Note that thicker film overcoats are not recommended (anything above 1-2 mils) in conjunction with thermal spray aluminum. Powder coatings consist of dry powders that have been ground into a fine dust. Powder coatings are manufactured by mixing resins, pigments additives and curing agents, heating these materials, letting them cool and finally grounding them into small particles. There are two primary types of powder coatings: thermoplastic and thermoset powder coatings. Thermoplastic powder coatings are functional coatings that provide a thick film while remaining flexible and tough. Thermoplastic coatings require no chemical curing. These coatings can be applied via a dip, sprayer or thermal sprayer. However, thermoset powder coatings are used for the majority of applications. They provide a thin layer of film that’s both durable and decorative. These types of powders have a low molecular weight than thermoplastic materials. Thermoset materials can also crosslink with other substances and remain thermally stable. Thermoset materials can also be altered to provide specific desirable characteristics. Powder coatings are known for their high-performance protection, appealing aesthetics and relatively inexpensive costs. They are corrosion resistant, flexible and have strong adhesion. Various textures and finishes are available on the market as well.